Who would have thought that after five weeks of MLS action, we'd see a dominating New York Red Bull, a San Jose Earthquakes team who can score (team, not Wondo) and an LA Galaxy squad so destitute, that they sit in last place of the Western Conference? Welcome to Major League Soccer, the league of parity and surprises. 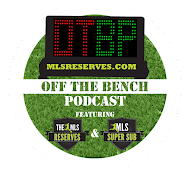 Here are a few things on my mind after five weeks of MLS play. 1. The Los Angeles Galaxy have completely fallen apart in the absence of Omar Gonzalez. That one player meant so much to a championship team gives insight to an extreme weakness. If Bruce Arena cannot make changes or sign appropriate reinforcements come summer, then Major League Soccer's crown jewel will be left to watch the playoffs from their couches. That scenario would be a bad one. For a team that boasts names like Donovan, Beckham, Keane and Buddle, failure to qualify or make a dent in the playoffs can only mean one thing: failure. 2. Conversely, Real Salt Lake sit atop that same Western Conference and have showed all the mettle of a Championship side (albeit, very early on). They have 15 points of a possible 18. They've won early, won ugly and won matches that they probably did not deserve to. Those are the traits common amongst the winners of the league across a 34 game season. They continue to get results on the road as well. RSL has been a team to be feared in recent memory. However, we've said this of the boys from Utah for several seasons now and yet they've failed to bring home silverware. I maintain that this is the year we must see the squad win something. The Open Cup, Supports Shield, MLS Cup... plenty of chances. Win one. 3. 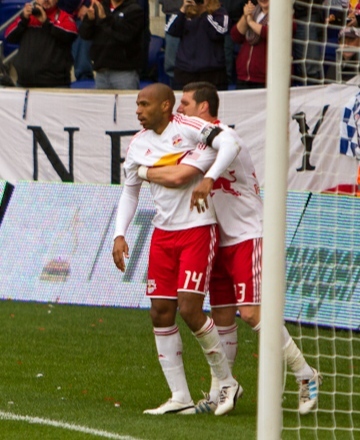 The New York Red Bulls are winning and scoring. Who would have thought....? 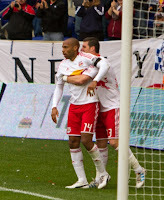 Somehow the oblong combination of Kenny Cooper and Thierry Henry is working and working well. Opposing teams must now circle their visits to New York as a match of concern because at present, the Red Bulls are no longer imploding from within (though, give it time). If you've missed their matches this season, they've become goalfests.I strongly recommend marking them as a team to watch. 4. Toronto FC is terrible. I received a great deal of flack for placing them in last place during pre-season power rankings, however at the moment, that ranking rings true. TFC punched above their weight in the CONCACAF Champions League, but in MLS they have been abysmal. There is no dancing around the issue, they are awful. Once again fans will look to the summer transfer window as a glimmer of light on the horizon. It would be wise for TFC management to bring in reinforcements in every area apart from goalkeeper. 5. How about those San Jose Earthquakes? 4 wins in five matches with plenty of goals scored. Chris Wondolowski is on fire early and receiving help his squad mates. Alan Gordon marked his arrival with an amazing diving header against Vancouver while Steven Lenhart continues to anger every single defender who has ever marked him...ever. It's the hair.